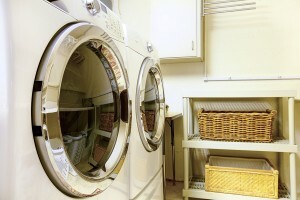 The CleanStart® detergent free laundry systems produced by RainSoft can help you to save significant amounts of money. These advanced systems install directly into the cold water line of your washing machine, and inject a controlled amount of Activated Oxygen directly into the wash water. Activated Oxygen is a powerful natural disinfectant, and will clean your clothes just as effectively as harsh and possibly irritating chemicals. In fact, over time, our CleanStart® laundry system can help your household save up to $6,500 over a ten year period, making it an outstandingly cost-effective investment in your home. To inquire further about our detergent free laundry systems and how you can purchase one for your home, contact your local authorized RainSoft dealer today.